Another great day trip in the Costa Blanca area of Spain is a day in Jijona, a short drive in the hills northwest of Alicante. Jijona, also known in Valenciano as Xixona, is famous for its Turrón, an almond-based nougat. Turrón is particularly popular at Christmas time in Spain. 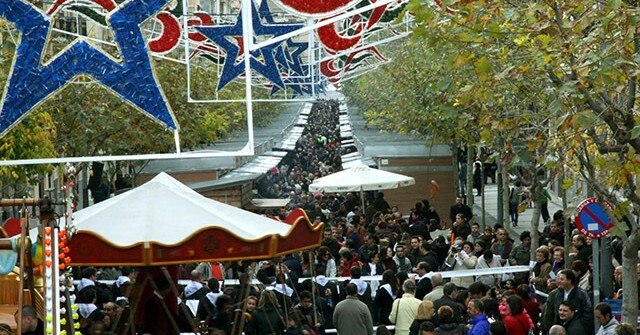 Jijona has a yearly four-day Christmas festival, which obviously features turrón, along with other Christmas- and winter-oriented gifts, like hats, scarfs, toys and more. Turrón is typically made from finely ground almonds, egg whites, honey and sugar. It comes in a variety of textures and forms. There is one with a soft paste-like consistency, which, to me, had a gritty, not pleasing texture. There are soft and hard turrón bars, with pieces of almonds. 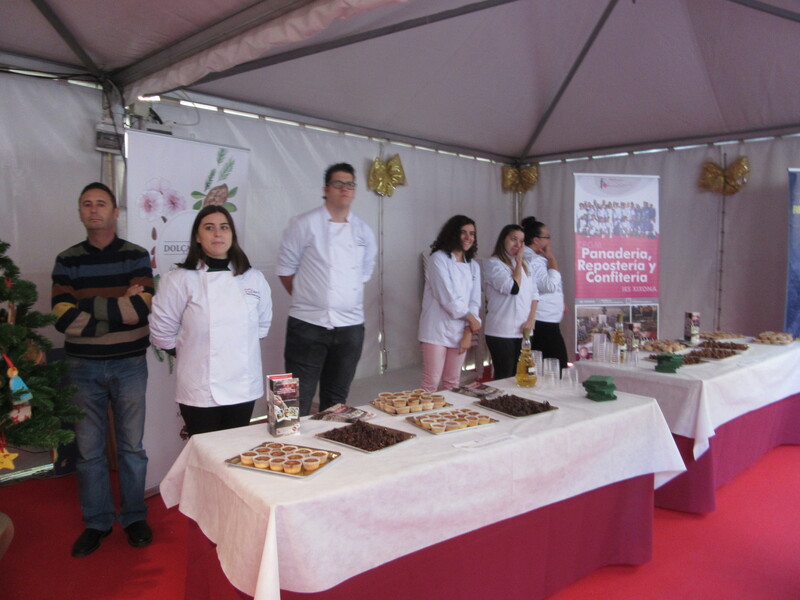 I saw chocolate-flavored turrón, turrón-flavored gins and liqueurs, and many other non-traditional additions. Samples are generously provided from the Christmas parade of wooden stands located in the central market. There are also other Christmas-related exhibits, and food/tapas booths with adjacent seating where people can rest their feet, and enjoy a snack and beverage. The Moors brought almond farming and turrón to Spain during their occupation of the area. During the 16th century, King Felipe II praised turrón, which increased its popularity. Historically, there were a few main families who dominated the turrón market. These decaying family mansions feature beautiful architecture and are visible on one of the main streets in Jijona: Monerris Planelles family home, Rovira family home, and Aracil family home. Only turrón made in Jijona and Alicante can receive the official seal of authenticity, “Consejo Regulador de Jijona y Turrón de Alicante.” There are tours available at the turrón museum and factory. Several other areas have a similar type of nougat like turrón, including Catalonia (Spain), France and Sicily. 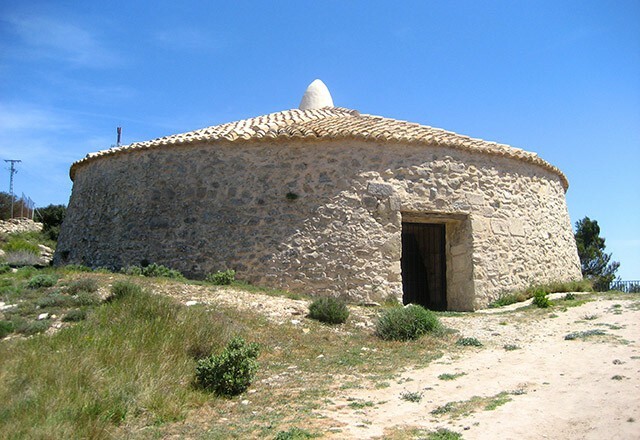 There are other interesting things to see in Jijona including historical churches and a convent, the remains of a castle (destroyed in the Spanish War of Succession), “and snow wells” (thick walled round buildings located in the cool Carrasqueta mountain range which came into use in the 18th century to store snow for making ice cream.) In August, there is a Moros y Cristianos festival, which are very popular in the province of Alicante. Parking is typically a fair distance from the touristic areas, but are well-marked and on an easy, gradual incline.